Sustainable cleaning - Orbio Technologies - A Tennant Company Group, is a leading innovator in sustainable technologies that provide effective cleaning without daily-use chemicals. 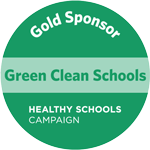 Orbio Technologies is proud to support the work of the Healthy Schools Campaign. On-Site Generation (OSG) of cleaning and antimicrobial solutions is an inevitable future. The processes involved in using packaged chemicals simply cost too much and pose too many environmental and health hazards. OSG solves those problems by turning ordinary tap water and salt into highly effective cleaning solutions. Learn more about Orbio® On-Site Generation. See how OSG replaces all of these packaged chemicals.